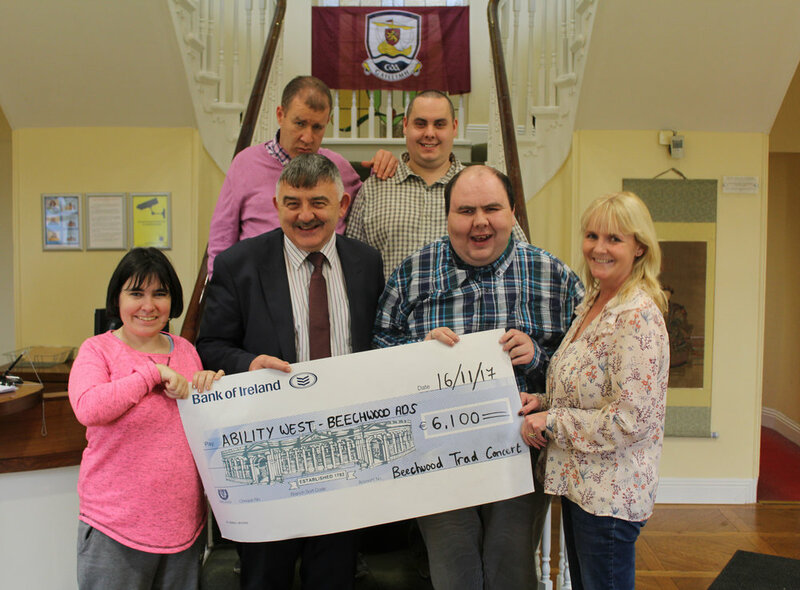 Elizabeth Kelly, Kevin Hargadon, David Sweeney, Joseph Faulker and Orla Carr of Beechwood Adult Day Services visited HQ at Blackrock House yesterday to present their cheque for €6,100 to John McHugo, Director of Finance. The funds were raised at the Trad Concert held in Menlo Park Hotel & Conference Centre on September 28th. Special thanks to everyone involved in the event, a huge amount of work was put into making it a success. Thanks especially to the committee, performers, sponsors, MC Ollie Turner and everyone who attended on the night. Proceeds will be utilised towards Beechwood Adult Day Services.